Neil Block QC has a reputation as a sensitive but brave advocate, a skilled negotiator and commercially aware practitioner. For many years Neil has represented a range of clients involved in substantial and complex disputes which are resolved with or without resort to litigation and/or mediation or other ADR. Historically his clients have usually been insurers, their insured, defence organisations, the Government or other major institutions; notwithstanding this he has been instructed by and continues to act for claimants, whether individuals or organisations. He has considerable experience of multi-party litigation and jurisdictional disputes. Neil is one of the few current practitioners who can properly claim to be a specialist in a number of areas of practice ranging from commercial and insurance to personal injury and clinical negligence. His commercial and insurance practice is based in professional indemnity, material damage, fraud and product liability, and insurance coverage disputes. Neil is consistently noted in the legal directories for his work in Insurance and Reinsurance, Professional Negligence, Clinical Negligence, Personal Injury, Product Liability and Travel. These include recommendations over many years in Chambers & Partners and The Legal 500. He continues to be ranked as one of Chambers & Partners’ ‘Star Individuals’ of Personal Injury Law and rated in Band 1 for Clinical Negligence. Chambers & Partners also named Neil in the Chambers 100, a list of the top 100 barristers practising at the Bar across all practice areas. Neil recently led a team of lawyers representing the Foreign and Commonwealth Office in the Kenyan Emergency Group Litigation. This claim by 42,000 Kenyans arising out of the Mau Mau uprising in the 1950s involved wide-ranging issues including jurisdiction, limitation, constitutional law, double actionability, negligence and vicarious liability. It was longest (232 days and over 20 judgments) and one of the most complex cases. Other recent cases include: advising on insurance coverage and a range of legal issues arising out of the Grenfell fire; advising high profile business and media figures in relation to allegations of sexual abuse; advising financial institutions, sports clubs and organisations, educational establishments and other organisations about vicarious liability for historic sexual and physical abuse; advising leading food retailers about liability to consumers of food containing allergens; and advising in many singular and multi-party personal injury and clinical negligence claims. Neil has extensive and probably unparalleled experience of acting in major Group and Multi-Party actions involving product liability, personal injury, clinical negligence, insurance and environmental. The Kenyon Emergency – claim by 42,000 Kenyon against the FCO. The Linkwise group action – “toxicsofas”. ICF v Winterthur – a major and complex Commercial Court dispute about after the event insurance, solicitor’s negligence and consumer credit relating to about 8,500 insurance policies and claims. Sudan Red and similar food dyes. Asbestos GLOs – VSEL v Cape PLC, Gnitrow v Cape PLC and various power station case. Environmental damage – claim against multi-national company in respect of water contamination in Africa. Neil has been instructed in a wide range of cases involving allegations of product liability. Metal on Metal hip litigation. The Linkwise group action – thousands of claims involving injury allegedly resulting from use of chemicals in leather sofas. GEC Marconi v Angletex – an example of a case involving allegations of building defects – this involved a fire detection and prevention system. Redland v Patrick & Snowden – an example of a case involving allegations of defective building products subsequently incorporated into a building. [Confidential] liability and insurance coverage issues related to the Sudan Red and similar food additive/dyes. The Scania Series 4 group litigation about the ergonomics of lorry cabs. The Northwick Park Hospital drug trial litigation and various other drug related cases. Evans v Suzuki (GB) PLC – an example of a case involving allegations of vehicle defect. Leonard v Rolton – an example of a case involving allegations of defects in a boat. Brackett v Wealden DC – an example of a case involving allegations of defective leisure equipment. Borthwicks Flavours v Benson – an example of a case involving allegations of defective food products. Numerous cases involving defective machinery and/or electrical equipment – often leading to fire, flood and business interruption. Cases about defective medical products, for example heart valves. Amec v NOWSCO – explosion on north sea rig in construction. Adams & Grey v Shoreline – damages for failure of a coastal protection scheme. Various fire and explosion cases for BG/Transco. Adams v SSE – alleged faulty electrical installation leading to fire. Neil has acted for Claimants, Defendants, professional bodies, defence organisations and insurers in a wide range of cases involving most professions – including solicitors and barristers, surveyors and valuers, accountants, architects, project managers, insurance brokers. There is a considerable overlap with other areas of practice, including insurance coverage and product liability. Re:Bondcare – TCC/ adjudication of QS/Project Manager’s negligence claim about £40 m hotel development project near Heathrow Airport. Europhonics v EMC Projects – Construction/professional indemnity claim arising out of design of a recording studio close to a railway track. Auctionworld v Beckett Risk Management – a broker’s negligence claim arising out of the under-insurance/non-insurance of a multi-million pound telesales/media business. The THLC cases – an example of a series of valuers negligence cases involving high value commercial and residential premises. KSS v Mishcon de Reya – a solicitor’s negligence claim arising out of a construction contract. Allerdale DC v CSL Group – allegations of negligent financial advice for a local government property development scheme. Strathmore v Brown v Sun Alliance – an example of a claim involving allegations of insurance broker’s negligence. TTPML v Latimer Hinks – solicitors negligence – allegations of negligent advice re: drafting of and advice about a construction contract. ICF v Winterthur – complex claim involving solicitor’s negligence, insurance coverage, ATE insurance, CFAs, and Consumer credit issues in approximately 8,500 cases. Richards v Hallmarks: solicitors negligence – under-settlement of catastrophic injury claim – issues about capacity. James v Jeffreys & Powell, Woolcombe v Kleinman Klarfeld – and many other cases about undersettlement of personal injury or clinical negligence cases. [Confidential] advising upon the English law relating to various insurance coverage issues arising out of a claim in the US, and in particular whether an English Solicitor should be aware of US insurance law. Numerous solicitors negligence claims instructed by Claimants and by the Solicitors Indemnity Fund and other insurers, including cases involving procedural negligence, and negligent advice related to personal injury, clinical negligence, property (including conveyancing), insurance and commercial matters. Numerous accountants negligence claims, including allegations of negligent tax and financial advice. Neil has been instructed in many interesting and usually high value cases. These tend to involve death or injuries of the utmost severity. In addition to a wide range of road traffic, employers liability and disease claims, he has acted in claims involving sport, education, product liability, stress, bullying, and environmental issues (see below). In recent years he has been instructed in a number of multi-party actions and cross-border claims. Representing the Secretary of State for Health in the claims arising out of sexual abuse by Jimmy Saville. Representing a hospital trust in multiple sexual abuse claims against a member of staff. McGann v Sharpe Films Limited – Paul McGann was injured whilst filming the first series of Sharpe’s Rifles in the Crimea. He was replaced by Sean Bean who went on to gain international stardom. Berger v – injury to well-known actor on set. Harrison v Royal Opera House – injury on stage. The North-East Shipyard Litigation – multi-party asbestos litigation. VSEL v Cape PLC – multi-party asbestos litigation involving the North West shipyards. Gnitrow v Cape PLCG – multiparty asbestos litigation involving the Isle of Wight shipyards. Power Station cases – claims involving asbestos related disease. Dingemans v River Ivel – pollution destroying hydroponic crops. Adams & Cole v Dorset CC – firemen inhaling fumes. Legionnaires disease cases – contraction of the disease from airborne particles. A range of cases involving single, two vehicle and multiple vehicle accidents. Allegations ranging from those relating to the vehicles, to the driving, product liability, maintenance of vehicles and maintenance of the highway e.g. Webb v Darbon (high value tetraplegic/ brain damage claim), Beckwith v Chittock (ventilator dependent Claimant), Pearson v Anwar – rta claim where unrestrained passenger who would still have been injured if wore seatbelt was found 25% contributory negligent. Also, the Selby rail crash claim and the Sheffield Supertram litigation. A range of accidents including offshore and whilst travelling by air. Cases have included other interesting reported areas of law – Webb v Bowbart (Miss D. Cotton QC sitting as an additional Judge of the QBD) on interest calculations and CRU; Taylor v Serviceteam  PIQR P201. Cases ranging from accidents in the school (including sporting accidents), to bullying, negligent failure to provide for special needs, and sexual assault of pupils – for example Sharp v Shene School, the hugely publicised bullying case. Cases involving a range of occupations including school teachers, local authority workers, factory workers, doctors, nurses, lawyers, policemen and women, office workers, financial services consultants, shop workers – for example Smith v Colonial Mutual, the financial services consultant featured on the Panorama programme; Witham v Hastings HA, first nursing stress claim, Randolph v London Borough of Wandsworth and Menzies v London Borough of Barnet, teacher claims. A range of prosecutions involving factory premises, building sites, docks, on-shore/offshore oil industry, product liability. Neil has been instructed in hundreds of cases acting on behalf of Claimants, NHSLA, Medical Defence organisations, Hospital Trusts and Health Authorities and professional insurers. These instructions have been in individual and in multi-party claims. The subject-matter has ranged from birth trauma, issues of consent, mis-diagnosis and wrong treatment and wrong prescriptions to product liability, failed hospital procedures such as sterilisation, PTSD claims by ambulance men and paramedics. Neil has acted in claims involving almost every aspect of hospital care from relatively straightforward orthopaedic claims to genetics. Various v Iain Paterson – landmark claim by hundreds of women in relation to breast surgery in public/private sector and complex and novel issues about duty of care. Dyball v Norwich Health Authority – successful defence of claim re: an allegedly missed severed carotid artery. Brotherton v Worcester HA – missed cancer, leading to death. Kennedy v NHSLA – alleged wrong doses of radiotherapy. Many birth trauma cases e.g. Trayfoot v Riverside HA; Sadler v E. Norfolk HA; Townsend v Worcester HA; Nizerali – delayed birth cases. Aldersely v South Warwickshire HA – failure to treat anaphylaxis leading to brain damage. Bristica – failure to prevent suicide of psychiatric patient. Casey v Good Hope Hospital – alleged failure to detect spinal cord bleeding. Dudley v Sandwell Hospital – alleged negligent treatment of spinal trauma. Jones v Portsmouth – negligent failure to provide genetic counselling. Watts v Southampton – negligent treatment of meningitis leading to ventilator dependent tetraplegia. Chapman v Chelsea v Westminster – claim by well-known actress for MSSA related injuries. Burns v Viel – claim by pop star against plastic surgeon re: lip enhancement procedures. Newham Hospital failed sterilisation of equipment cases. Various product liability cases involving e.g. heart devices, hip prosthetics. Neil is retained by the NHSLA to advise both generically and on individual cases involving allegations of hospital associated infection – such as MRSA and C Diff. Neil has been instructed in many claims in which insurance material loss and product liability feature. Neil has been instructed in a wide range of cases in which insurance issues are the whole or part of the claim. These include coverage disputes involving scope of cover, dual/double insurance, late notification, non-disclosure, misrepresentation, policy construction and fraud. These cases often involve a combination of insurance issues and the underlying substantive factual and legal issues. Various construction related professional indemnity/coverage issues for DCS Claims Services for Beazley, Mitsui, Abacus, Arch, Kiln etc. [A Hong Kong case] Various disputes arising out of the purported avoidance by an insurer of fire and public liabilities policies on the grounds of breach of the insurance contract and material non-disclosure. Re:fire at major film studios – policy coverage advice. Chappell v AXA – fire, policy coverage dispute, material non-disclosure. Successful repudiation. Re: fire at a nightclub and re: fire at a factory – policy coverage issues involving alarm systems, storage conditions etc. Re: fire at a pier – coverage issues re:precautions, limit of indemnity etc. Harcourt v Pegasus Gymnastics Club – issue about disclosure of terms of insurance coverage to Claimant – Irwin J.
ABS Brymar v Beazley Syndicate 623 – a construction related professional negligence claim relating to the concrete flooring in a large Whitbread depot. The litigation involved both the underlying claim and a number of complex insurance coverage issues such as scope of cover, late notification, exclusion clauses. [confidential] – gas explosion resulting from defective building/engineering works. Policy coverage issues. Many professional indemnity cases involving late notification and scope of coverage issues. Neil has also acted for insurers in many claims in which they have considered repudiation on the grounds of fraud. Neil has, for many years, acted for Claimants and Defendants in sports injury and sports contract cases, and associated insurance policy coverage disputes. His experience include cases involving boxing, football, golf, gymnastics, hockey, horse-riding, go-karts, ice-hockey, rugby union, rugby league, speedway/grasstrack, scuba diving, ski-ing, sky-diving/parachuting, swimming. Numerous football claims about bad tackles – including O’Neill v Fashanu (Collins J.). Numerous rugby injury cases, involving claims against players and clubs and claims against referees – including Mandrey v Barnard (HHJ Lee QC sitting as an additional Judge of the QBD). White v RFU and others – representing the RFU in a claim that it was negligent in making the laws of the game. Boxing – provision of adequate medical facilities. Speedway/grasstrack – claim against track owner and promoter. Johnson v Brands Hatch – motor cycle grand prix – claim that safety barriers and course layout unsafe. Harcourt v Pegasus Gymnastics Club – catastrophic injury of young gymnast – allegations re: training and equipment. Various claims involving parachute jumps. Various claims involving sport and commercial diving. Neil is consistently noted in the legal directories for his work in Insurance and Reinsurance, Professional Negligence, Clinical Negligence, Personal Injury, Product Liability and Travel. These include recommendations over many years in Chambers & Partners and the Legal 500. He continues to be ranked as one of Chambers & Partners’ ‘Star Individuals’ of Personal Injury Law and rated in Band 1 for Clinical Negligence. Chambers & Partners also named Neil in the Chambers 100, a list of the top 100 barristers practising at the Bar across all practice areas. Acquisition International named Neil as the ADR Silk of the Year 2013. 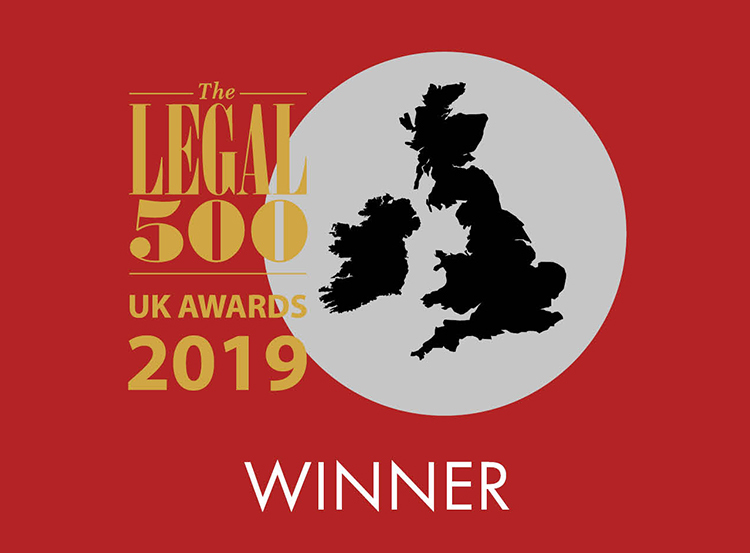 Neil was included in the Third Edition of Best Lawyers in the UK for Clinical Negligence.